I didn’t always consider myself a runner. In my teens, 20s, and early 30s, I didn’t like running. In high school, I had a brief stint running the 800m, 1500m, and 3000m on the track team. I competed in two meets before a terrible–or terribly embarrassing–pole vaulting accident. So, why did I start running in my late 30s? I needed to do something. My health was falling apart. Occasionally lifting weights in the gym wasn’t enough. As I started to look for health advice online, I started reading and following health & fitness bloggers. It seemed like everyone was a runner–a distance runner. 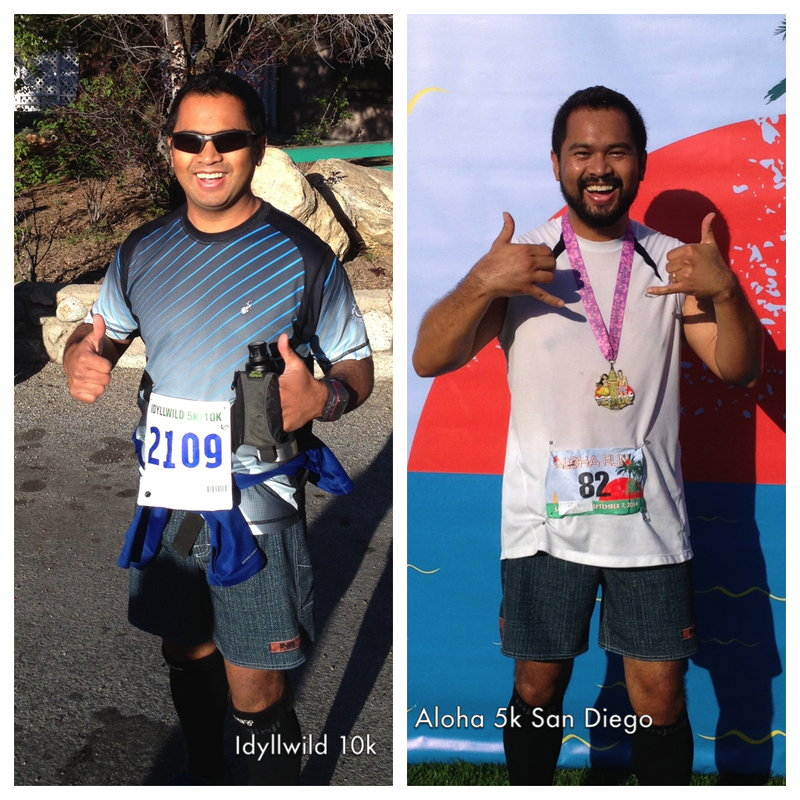 The bloggers I followed ran 5ks, 10ks, half marathons, and full marathons. In mid 2010, I decided to give it a go. For a couple of years, I would run around the neighborhood for 2-3 miles. I didn’t sign up for any races. I guess I wasn’t mentally prepared for that. Eventually, a friend encouraged me to sign up for the Long Beach Half Marathon in 2011. I started training, then injured my knee a few weeks before the race. I already lacked the confidence and my knee problems gave me an easy way out of competing. For most of 2012, my running was sporadic. My immune system went nuts after a failed attempt at allergy therapy. Things were even worse for me when I was given a steroid injection to try suppress my overactive immune system. I wasn’t in a good place mentally or physically. I went weeks–even months–without a run. Then April 15, 2013 happened. 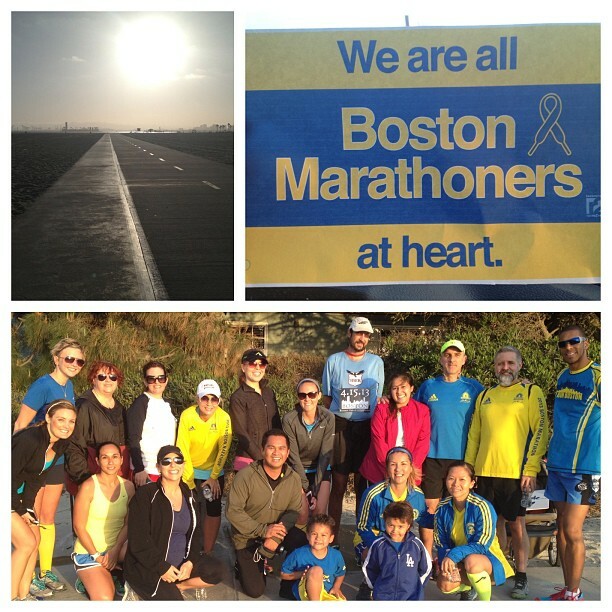 Although I barely called myself a runner before, the Boston Marathon bombing evoked something in me. Despite the fact that I had never run a race, I felt the pain of the rest of the running community. When Pavement Runner called on runners around the country to run together in solidarity, I made sure I was there among my running brothers and sisters. 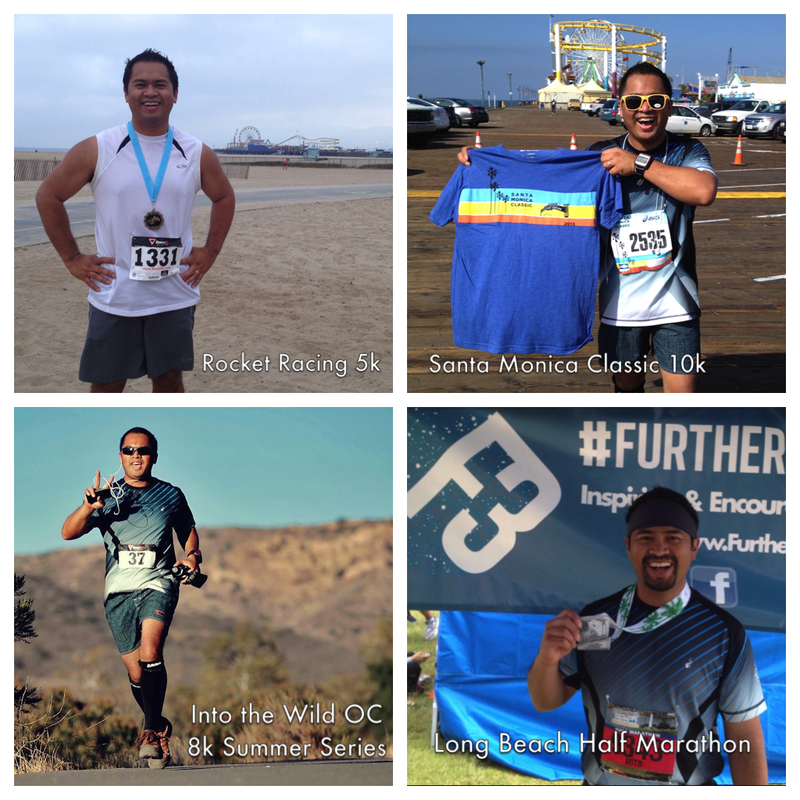 My first 5k and 10k were in May 2013 in Santa Monica, CA. 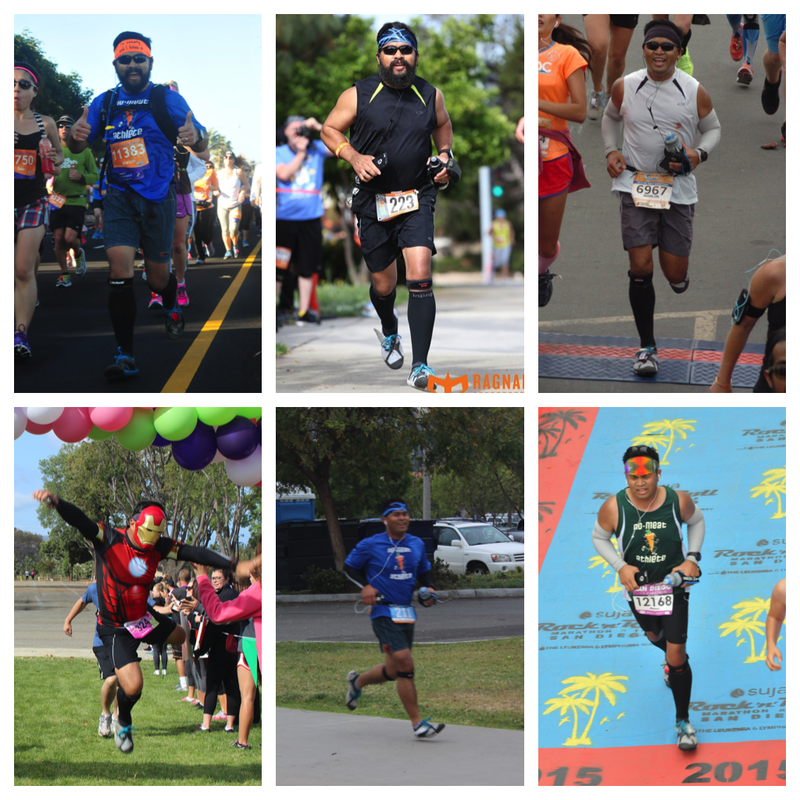 In August 2013, I ran three 8k trail races in Orange, CA. Then in 2014, my immune system went haywire again. This time we realized that I didn’t just have allergies but I was actually dealing with an autoimmune disorder. During the first six months of the year, I probably had hives for over four months. But that summer, I was determined to be a runner again by signing up for a 10k and a 5k. I also decided to raise the ante by signing up for the Surf City Half Marathon in Feb 2015 and work toward the Beach Cities Challenge Medal. I’ve run a lot more races so far this year. I don’t know if I’d say that 2015 is my comeback year… it’s more the year where I pick up where I left off. I’m running further and faster (for me, anyway). I’m running socially and making running friends in different running groups: No Meat Athlete OC, #UnitedLa, & #WeRunSocial. With my crazy health issues, I honestly don’t know how many years I’ll be able to run for, but I’m going to enjoy it while I can.